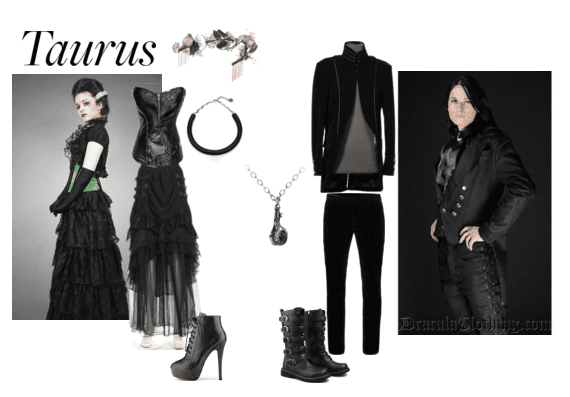 The Goth culture revolves around the concept of finding beauty in things that the majority of people – “the norm” – would find dark. 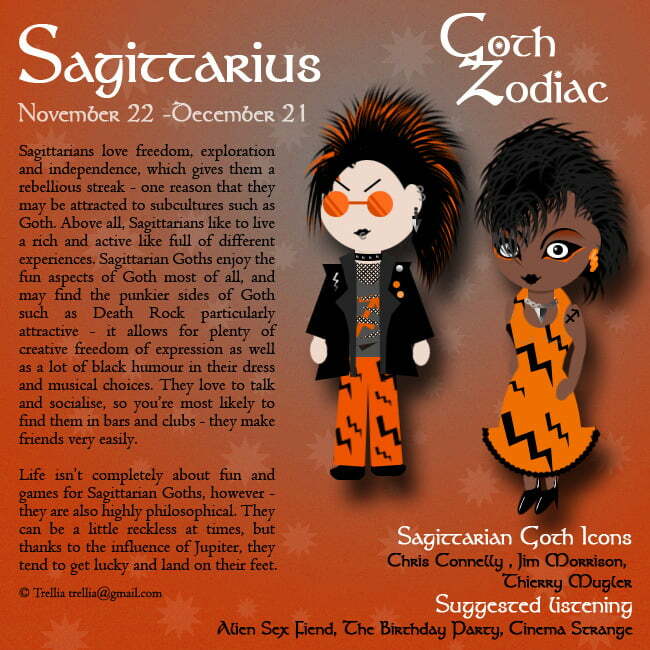 Unfortunately, the world has casted an evil label on Goths, but this couldn’t be far from the truth. 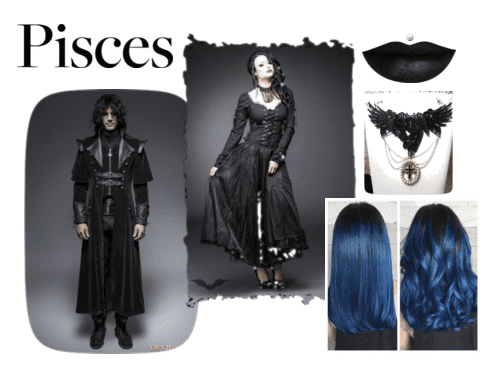 Goths are simply rebels that live according to their own compass and are in constant exploration regarding the various depths of the mysterious, romanticism, and the supernatural. 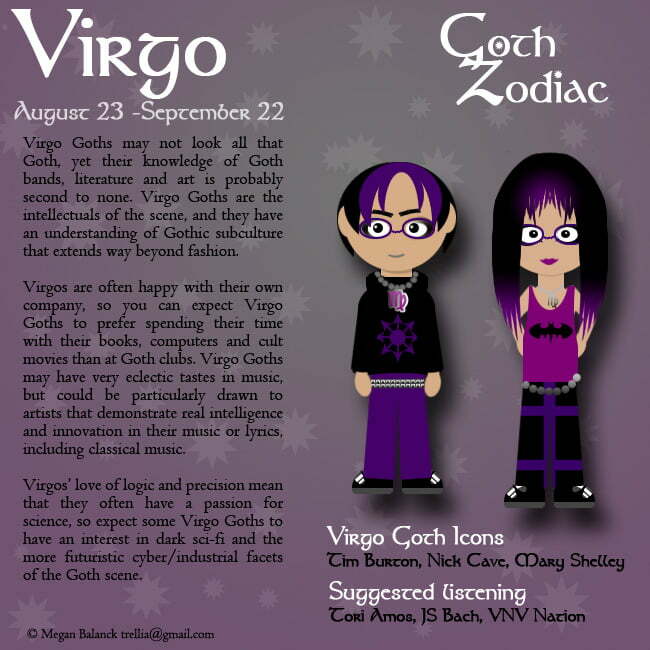 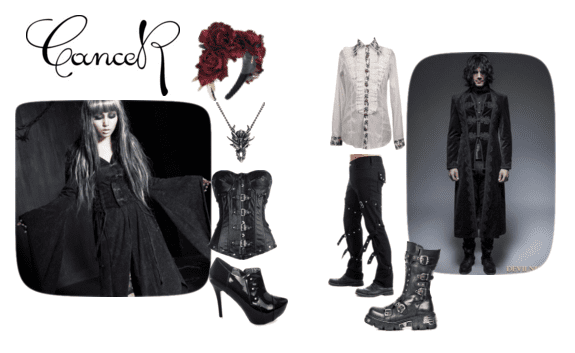 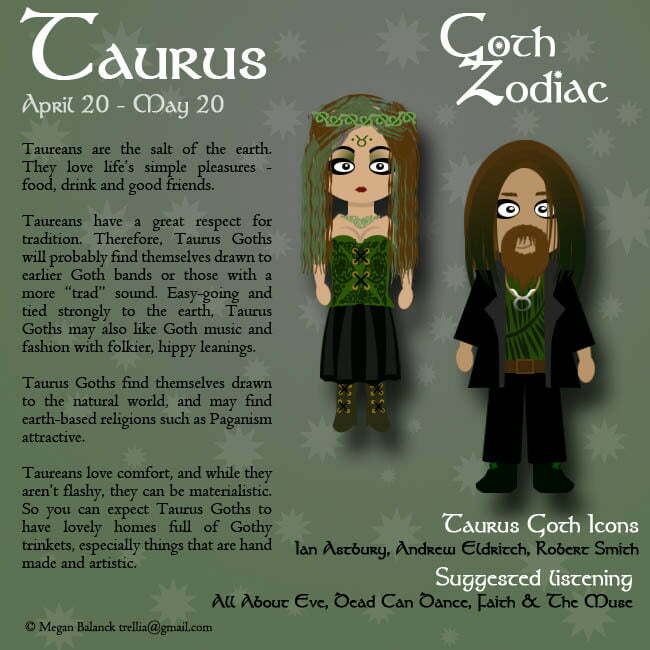 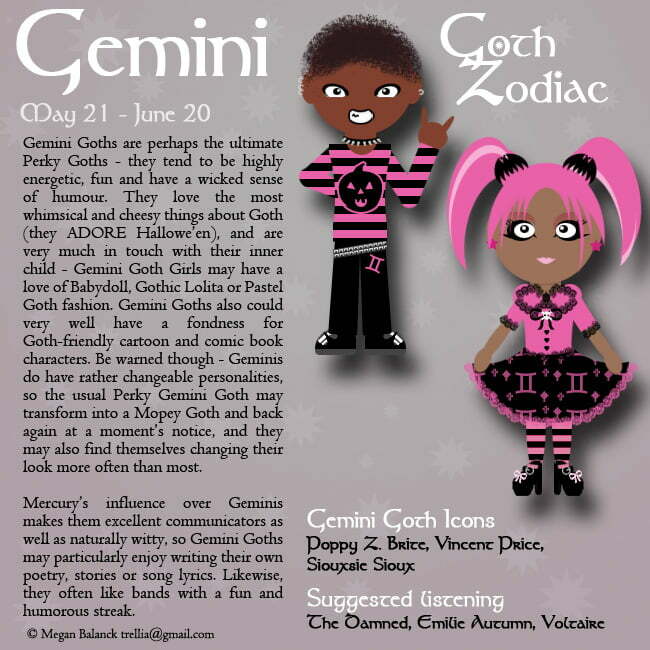 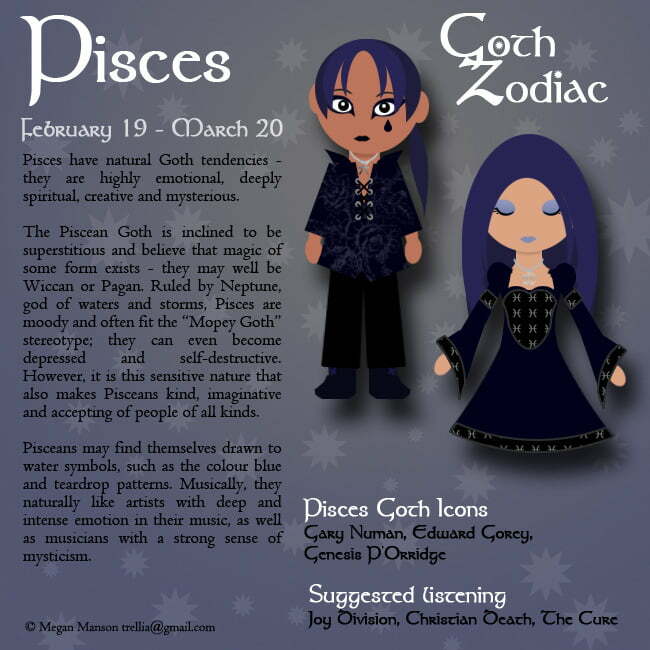 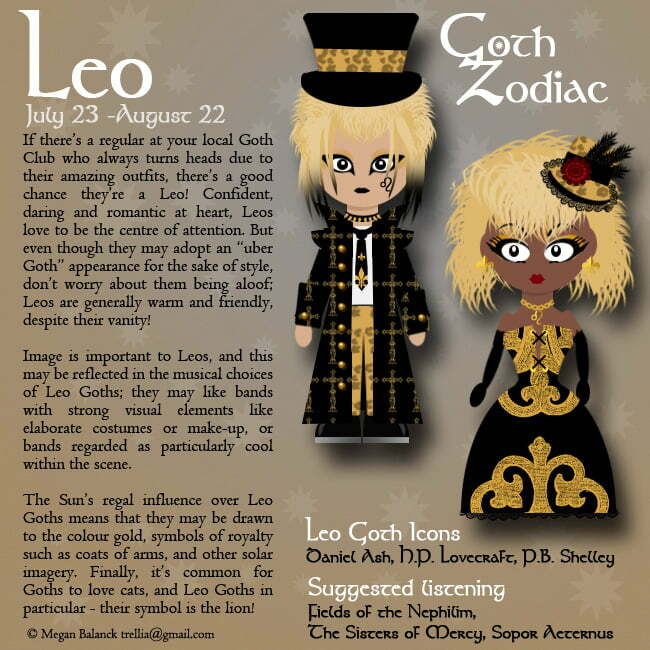 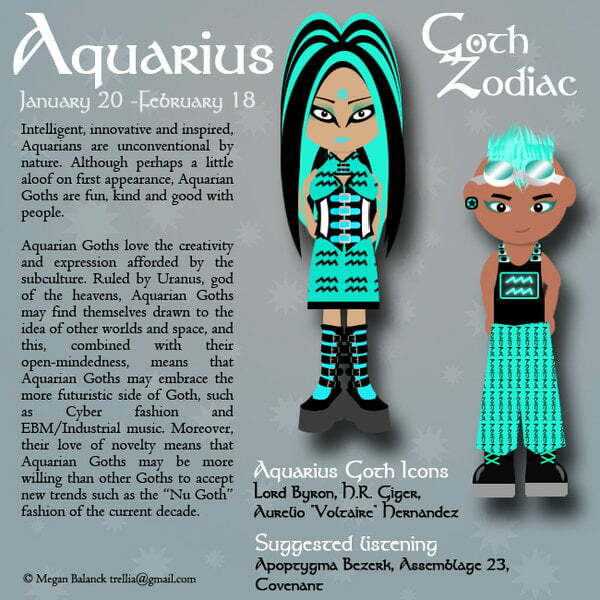 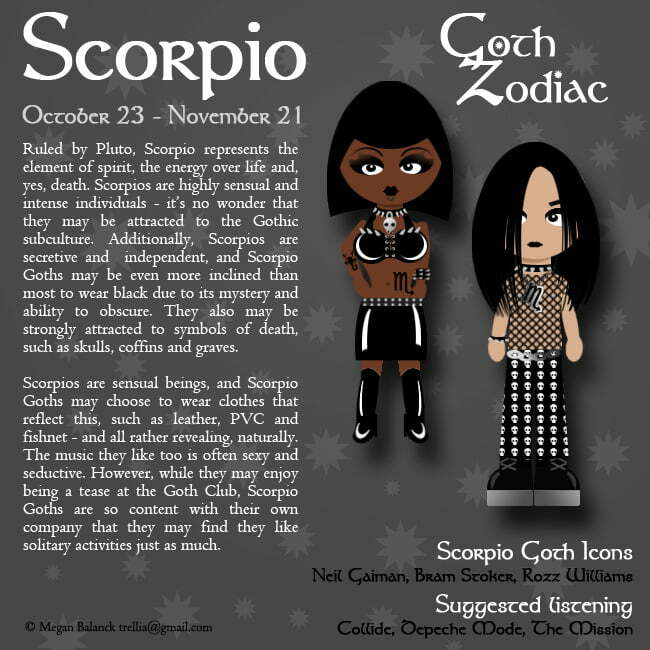 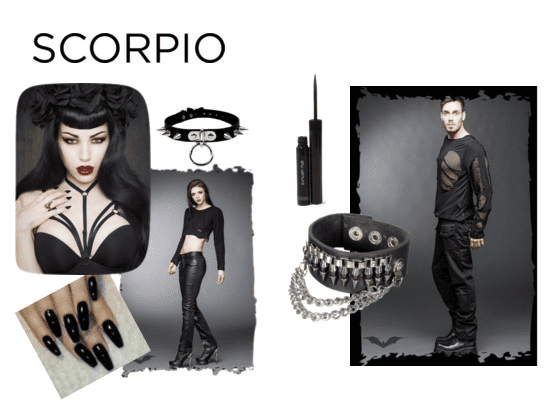 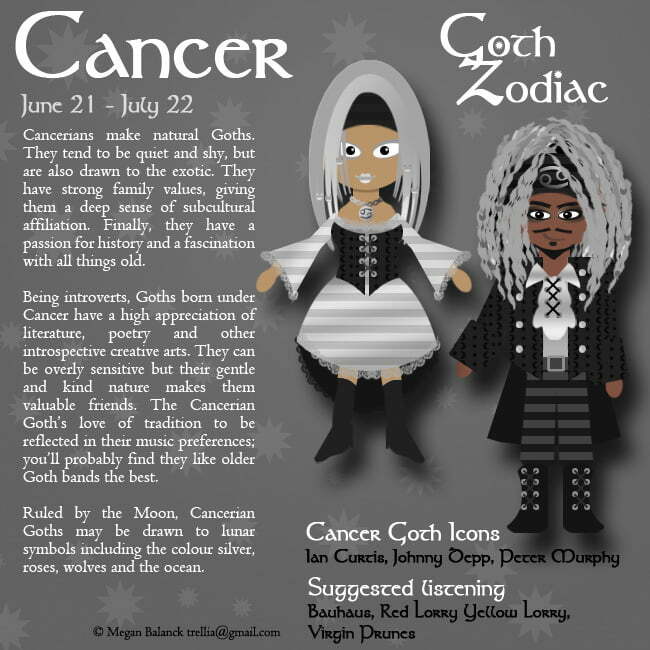 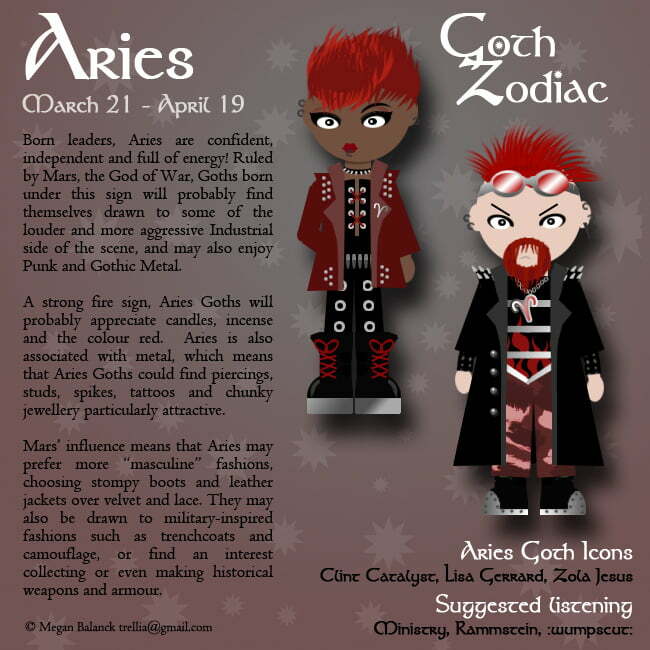 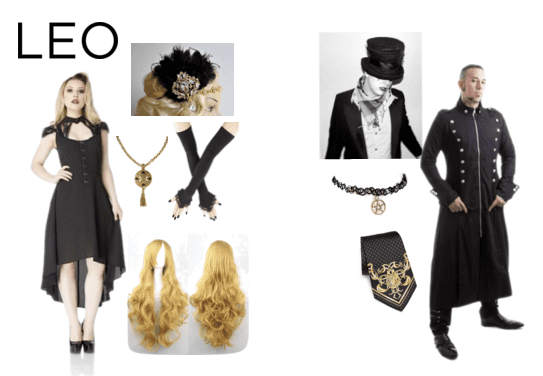 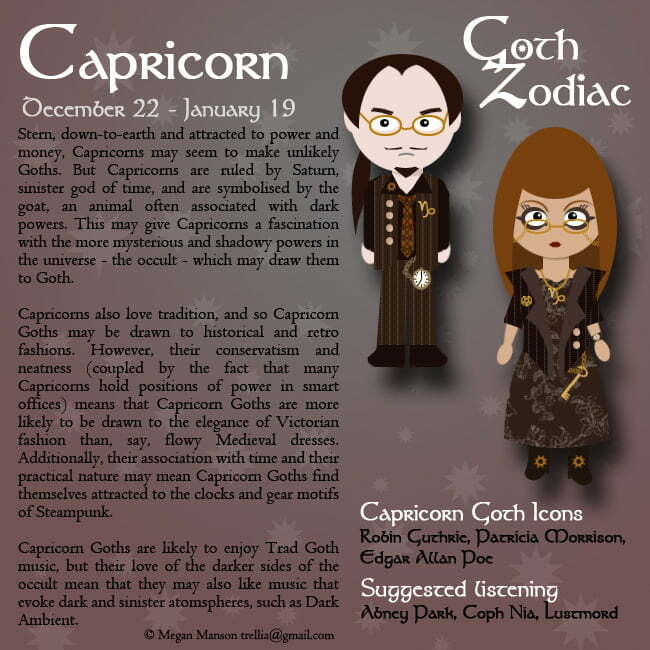 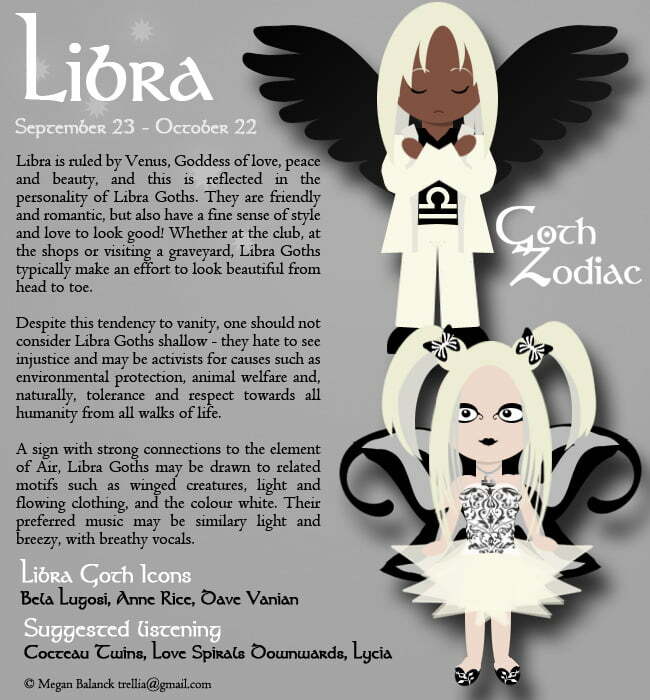 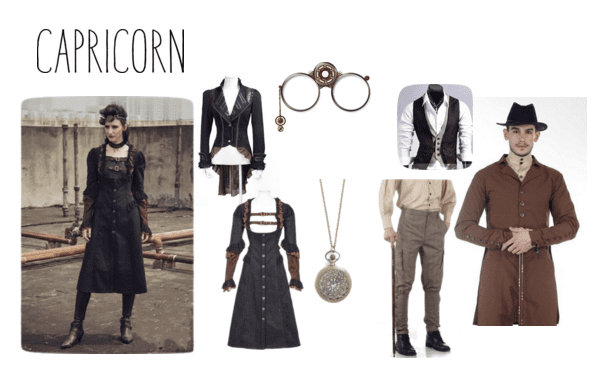 And because fashion is a powerful tool in communicating our personalities, which is clearly evident in the Goth culture, I’m super happy that I came across creative infographic artwork by deviantart.com writer, Megan (“Trellia”), in which she profiles all of the Sun Signs with a Goth-specific focus! 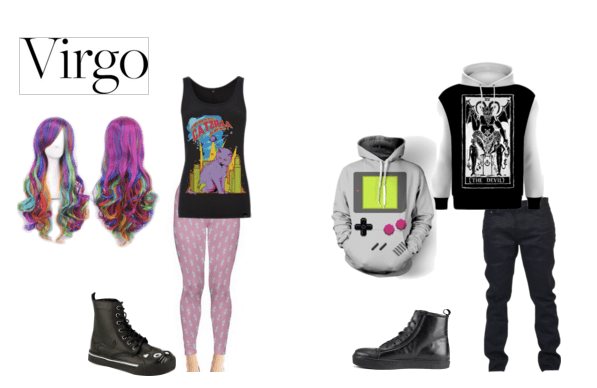 So, naturally, these awesome graphics inspired me to create fashion looks that are based on the cartoon characters’ goth fashion. 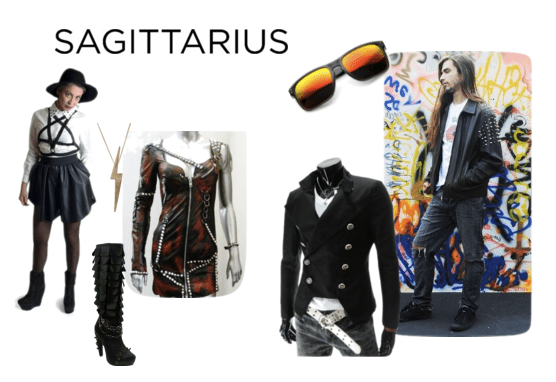 Can you identify with your Sun Sign's fashion personality? 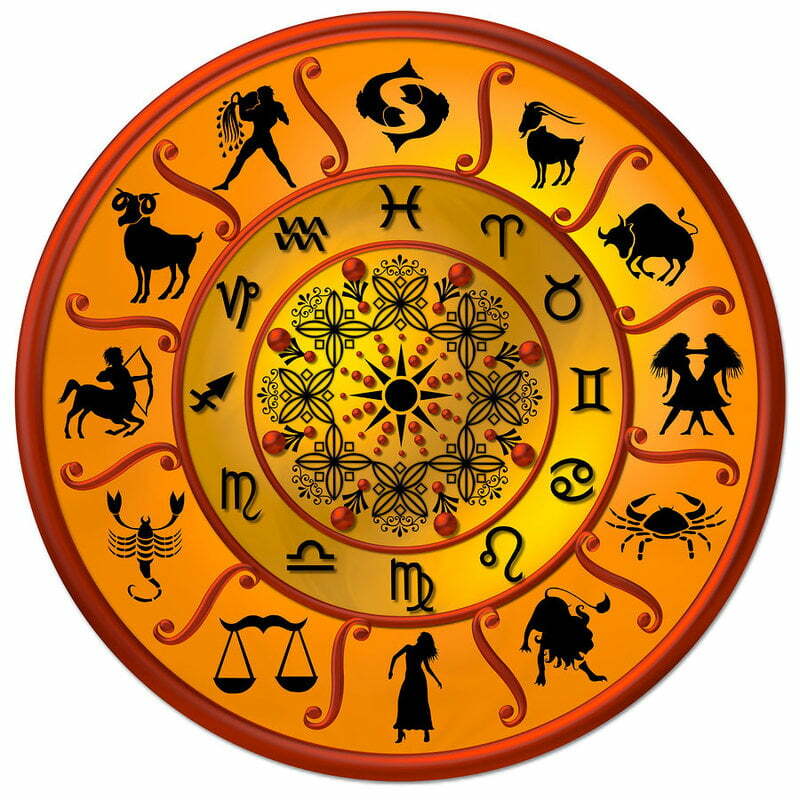 Leave a comment below to share your thoughts with us!